We analyze the performance of Massive MIMO systems with respect to more realistic scenarios. One of the constraints of using large dimensional arrays is the constrained physical space that is actually available to rig these antennas. One solution to deploy the antennas with a small space is to reduce the spacing between the antennas (possibly below half the wavelength of the transmitted frequency). This however gives rise to two effects, namely mutual coupling due to the close proximity of the circuit components of the antennas and antenna correlation due to the interfering signals among the antennas. Our analysis thus shows that EE does not increase infinitely in a massive MIMO system when the increasing number of antennas are to be accommodated within a fixed physical space and the total power consumed is considered to be a function of the antennas. We also use stochastic geometry and large random matrix theory as tools to analyze the performance of such systems. Furthermore, we also explore on the non-ideal channels available for massive MIMO by taking into consideration delayed CSIT and time varying massive MIMO systems. A. Papazafeiropoulos, B. Clerckx, and T. Ratnarajah, "Rate-Splitting to Mitigate Residual Transceiver Hardware Impairments in Massive MIMO Systems," IEEE Trans on Vehicular Technology, Vol. 66, Issue 9, pp. 8196-8211, Sep. 2017. 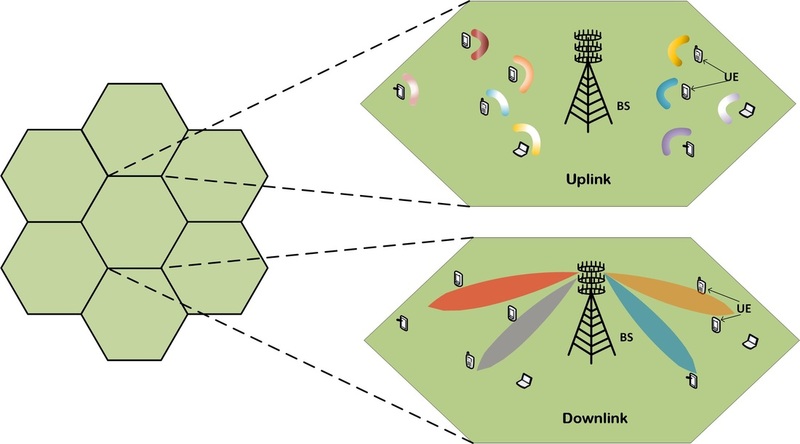 A. Papazafeiropoulos, H. Ngo and T. Ratnarajah, "Performance of Massive MIMO Uplink with Zero-Forcing receivers under Delayed Channels", IEEE Trans. on Vehicular Technology, Vol. 66, Issue 4, pp.3158-3169, April 2017. S Biswas, C Masouros, T Ratnarajah, "Performance Analysis of Large Multi-User MIMO Systems with Space-Constrained 2D Antenna Arrays,“ IEEE Transactions on Wireless Communications, Vol 15, No. 5, pp. 3492-3505, May 2016. A. Papazafeiropoulos and T. Ratnarajah, "Impact of Rate-Splitting Robustness in Multi-Pair Massive MIMO Relay Systems," In Proc. IEEE Global Communications Conference, Singapore, 4-8 Dec. 2017. S Biswas, C Masouros, T Ratnarajah, “On the Energy Efficiency of Massive MIMO with Space-Constrained 2D Antenna Arrays,” in proc IEEE International Conference on Communications 2016.